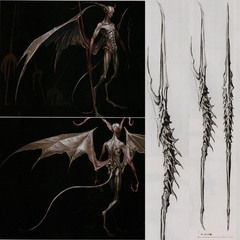 Carved from the bones of fellow demons. Wielded by the slim lesser Batwing demons. 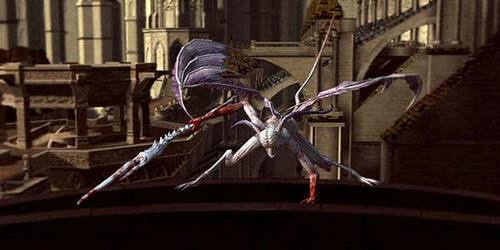 The weapon of these chaos demons wandering Anor Londo are different from those of other chaos demons, and are imbued with lightning. 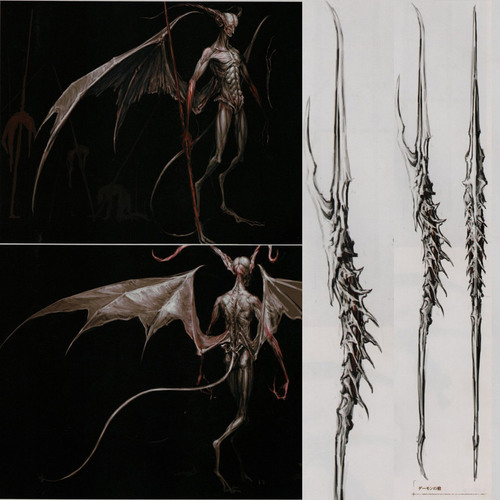 They're also the ones who are tasked to transport the Chosen Undead from Sen's Fortress to Anor Londo and vice-versa.